Lia Habel was born in Jamestown, NY, and has lived there the majority of her life. 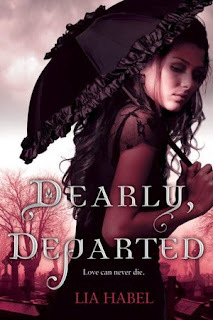 Her first book, Dearly, Departed, is a sweeping tale of zombie-living romance set in a cyber-Victorian/steampunk future. When Dearly, Departed sold, she was swimming in debt incurred from her studies and years of un- and underemployment, with only a few dollars to her name. Habel enjoys attending anachronistic and steampunk events, watching zombie movies (she has watched over a hundred of them), commissioning ball gowns, and collecting Victorian and Edwardian books. She is incredibly grateful for the opportunities she has recently been given. 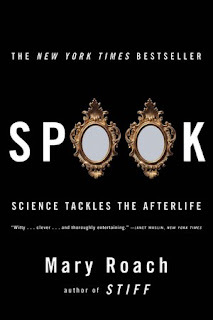 I'm currently reading Spook by Mary Roach, and I'm of two minds about it. The book chronicles her search for evidence for or against "the afterlife" - she does everything from interviewing scientists with incredibly expensive and complex plans for how one might measure the energy or weight of a departing soul to pulling apart lengths of fraudulent, spiritualism-age ectoplasm in university libraries. From the research and anecdotal side, it's fascinating - but it seems to have a mildly snarky tone that the first book of hers I read, Stiff, didn't have. It might be her inherent skepticism coming through. Stiff, though, is one of my favorite books of all time. It has an honored place amongst my Dearly-related research materials. It's all about how dead bodies are used and treated, and how they occasionally benefit the living, which is a subject dear to my heart. I love finding and reading books like hers, because they provide so much inspiration for ways to deal with my zombie characters. Even though I write "good" zombies, I refuse to sanitize them completely, to shy away from the gore and grossness that's part of the zombie allure. Finding creative ways to deal with it is part of my job, so I end up reading a lot of books about the funeral business, physiology, etc. Honestly, I think just constantly exposing myself to these materials helps to cultivate the proper good-guy-zombie frame of mind - that bodies aren't to be feared, that we're all going to die and that isn't the end of our story, that there's nothing to panic about, etc. Plus, Stiff taught me that I totally want to be frozen and shattered after I die. It's very Nora Fries. Visit Lia Habel's website and blog.